80 Ball Bingo Rules - Learn how to Play and Win at 80 Ball Bingo! 80 ball bingo is a popular alternative to the wildly popular traditional game that only uses 75 balls. 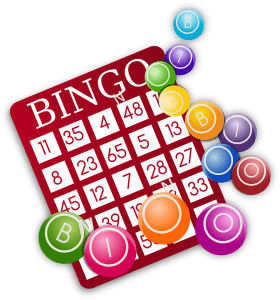 Since online bingo began the game has seen a massive resurgence with millions and millions of fans worldwide that play at least once a week. The game has a huge subculture now thanks to social media and chat rooms, and it seems that people just can’t get enough of the friendly atmosphere, excitement and huge jackpots. 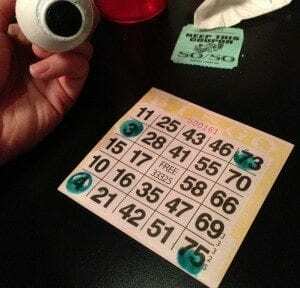 The secret to bingo’s popularity its simplicity and accessibility. There are no complicated rules to remember and even in places where gambling is banned, this game seems to be exempt and thrives. Countries as diverse as Canada, Romania and Spain all have a huge bingo-playing community and they spend tens of billions of dollars each year. 80 ball bingo, as mentioned above, uses 80 balls instead of the 75 balls that would be used in a traditional game of bingo. 90 ball is also very popular, but 80 ball seems to be the more popular choice of the two. You can find out about the 90 ball rules here. The game rules are very simple; the first thing you need to do is purchase your tickets. If you are playing online then this is relatively straightforward. Just select the game you want to play and how many tickets you wish to purchase and the correct amount will be debited from your online account. 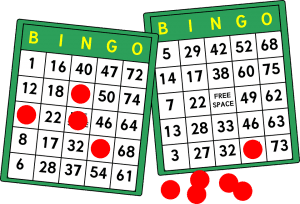 If you are playing in a traditional bingo hall, there is normally a ticket booth to make purchases from or a vendor may come around to your table and you can purchase them that way instead. In 80 ball bingo, each ticket consists of a grid containing 16 squares made up of four rows and four columns. The columns are usually colour coordinated and each divided into 20, so the first column contains the numbers 1 through 20, the second column contains the numbers 21 through to 39 and so on and so on. If you purchase one ticket that will only give you 16 numbers out of a possible 80 to play with and unless you are extremely lucky, you won’t have a great chance of winning. To improve your chances of winning, you can purchase what is known as a ‘strip’. A strip consists of five tickets and will contain 80 numbers, so your chances of winning are much improved. To increase your chances even further you can purchase multiple strips, but just make sure you can keep up the pace. The caller and your fellow players will not wait for you to catch up! Once the game begins a caller will randomly select one of the numbers from 1 to 80 one number one at a time. If you are playing online, the computer will simply choose numbers randomly instead. If you have the number that has been called on any of your tickets you mark it off with your ‘dabber’, or if you are playing online just select the number that has been called. There are a number of different sites that offer 80 Ball games. We have reviewed a number of sites which include this type of game. Your first opportunity to win will come when you can complete a single line consisting of four numbers. This is where 80 ball bingo varies from 75 ball, as there is more than one way to complete a line. You can win by either completing a horizontal, vertical or diagonal line containing four numbers, you can mark off the four corners of your ticket, or if you can mark off the four numbers in the middle of your ticket to form a square. Once the claim has been verified, the game will continue for a second chance to win. This happens when someone is able to complete two lines in either a horizontal, diagonal or vertical combination. The third way to win is if you can complete three lines in any combination of horizontal, diagonal or vertical. Once that has been verified, the game continues for the last chance to win. For this, you need a full house, in other words you need to mark every number on your ticket. It is traditional to shout ‘HOUSE’ or ‘BINGO’ if you are able to do this. Once the ticket has been checked to make sure no errors have been made, the game is over. These tickets can be discarded and the next game can begin. It’s important to realise that 80 ball bingo is a game of pure chance, but it’s so popular because it is very low risk. Prices of games will alternate between different operators but essentially it doesn’t cost a lot to play, and with the considerable cash prizes and jackpots up for grabs it’s not surprising that more and more people are discovering the game every day. To give yourself the best chance to win part of that prize money there are a few things you can do to improve your odds. First and foremost, keep your nose to the ground for any special deals or free bingo promotions. There are so many outlets now, both physical and digital, that promotions and special offers should be easy to obtain. If they want your business then they need to dangle the proverbial carrot in front of you. Money-off coupons, discounted rates and even free games are not uncommon. You will increase your chances of winning if you buy more tickets per game, but be aware that this will cost you more at the outset and eat into any potential winnings. Make sure the risk is a calculated one. Finally, try to play in one of the quieter times of the day. The busiest periods tend to be evenings and weekends, and the more people you’re competing against, the less chance you will have of taking that jackpot home with you.